It has been nearly two centuries since Marx famously turned Hegel on his head in order to repurpose dialectics as a revolutionary way of thinking about the internal contradictions of our social relations. Despite critiques from post-structuralists, post-colonialists, and others, there has been a resurgence of dialectical thought among political theorists as of late. This resurgence has coincided with a rise in the mention of words like class warfare, socialism, and communism among the general public on the streets of Seattle in 1999, in Cairo’s Tahrir Square, in the actions of the Greek anarchists and the Spanish indignados, and in the rallying cry of “we are the 99%” of the Occupy Movement, and in academia. 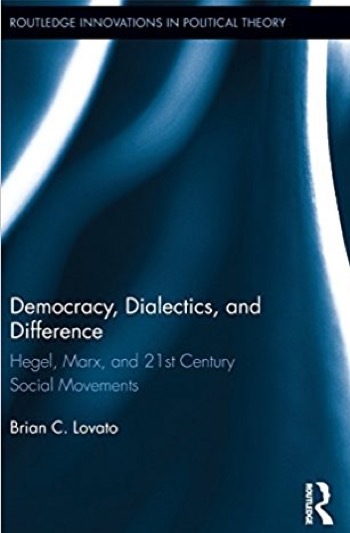 This book explores how it is that dialectical thought might respond to the critiques brought forth by those on the left who are critical of Marxism’s universalizing and authoritarian legacy.